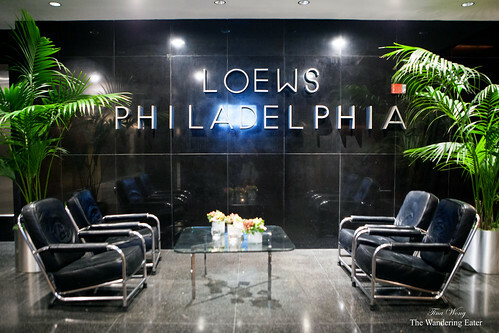 Loews Philadelphia Hotel is a national historical landmark (earned its status in 1979), as it was the first International style skyscraper built in the United States. This building was formerly the Philadelphia Saving Fund Society Building, or PSFS Building, the nation’s first savings bank. The bank commissioned the construction of a 36-story, 491-foot skyscraper that would provide for the banking and office activities of the Society, designed by architects William Lescaze and George Howe. The bank eventually failed and was bought by developers to turn into a Loews Hotel. 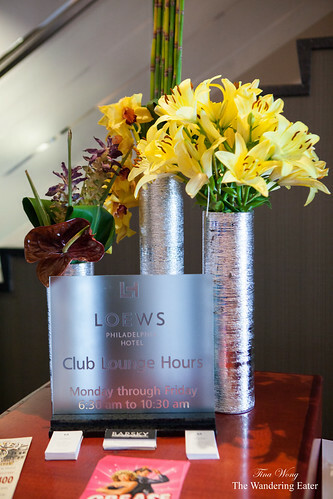 Conversion into a hotel began in 1998, and the Loews Philadelphia Hotel opened in April 2000. 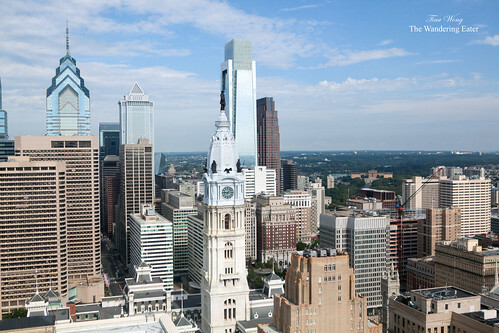 Lescaze’s experience with European modernism, Howe’s Beaux-Arts background and Philadelphia Saving Fund Society President James M. Wilcox’s desire for a forward-thinking, tall building the skyscraper incorporated the main characteristics of International style architecture. 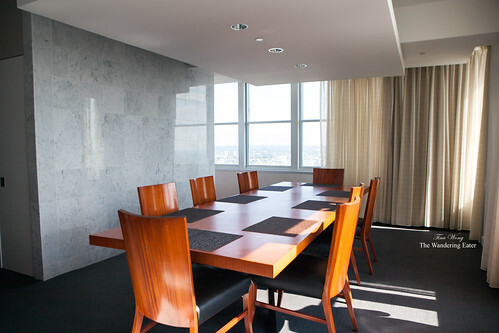 You would get a sense of the building’s history when you go up to the 33rd Floor, the highest floor of the building. This particular part of the building was set aside only for the most top executives of the bank and the most powerful people. 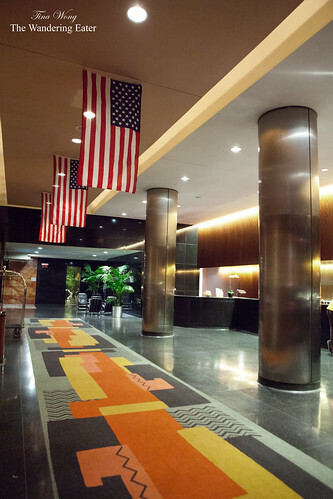 The historical features of the prestigious floor have been well maintained as part of the hotel. 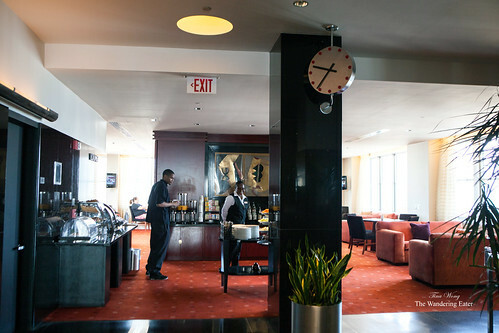 Today, the original designs remain in place as well as the unique Art Deco style of the building remains, especially the custom Cartier clocks (each floor has a different clock), handsome wood walls on the 33rd floor, and granite and marble details throughout the hotel. We were told that the major part of the renovations was mainly carpeting. 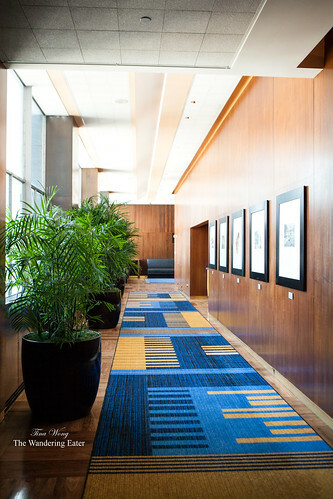 You would see stunning views of West Philly when you walk down the corridor toward the Howe Room. 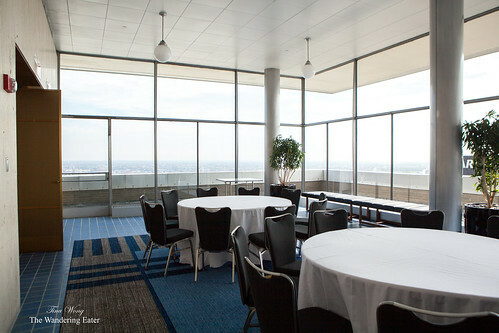 The Howe Room and the terrace provides lots of natural light and views of east Philly. 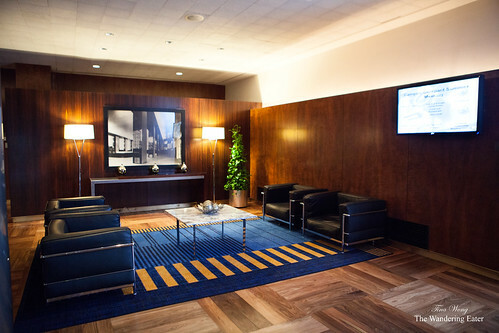 The most exclusive suites are called the Presidential Suite found a few floors below, where guests are welcomed to have breakfast at the Club Lounge (as it’s included in their room rate). Each suite is about 1,700 square feet going for about $2,500 per night. 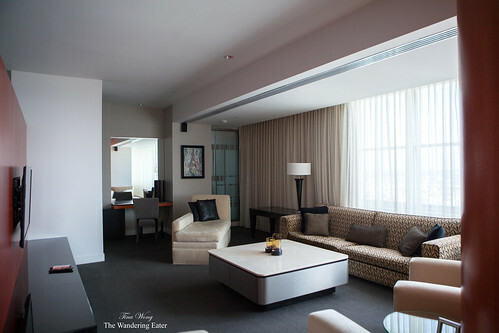 The suite is understated luxury and very comfortable. 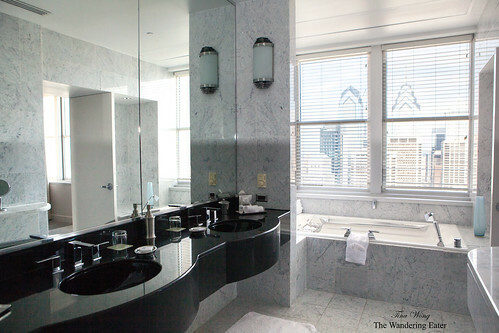 Clean lines and the spacious marble bathroom is any person’s dream with skyline views of west Philly. The dining room has some Art Deco flavor from the large wooden dining room table to warm up the space and has views of east Philly. 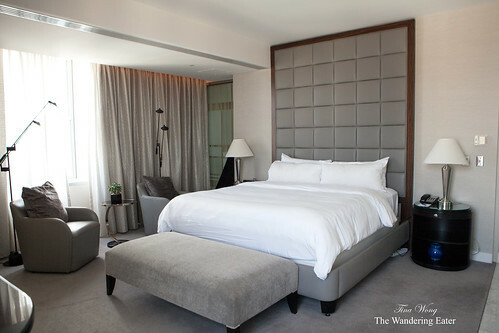 The plush bedroom has two large windows with both differing views of the city.